The Grove Public School System, home of the Ridgerunners, is the largest in the Grand Lake area. The school district offer a quality education experience to over 2,400 students in grades Pre-K through 12 and is committed to excellence. Over 300 staff members provide classroom instruction, administration, and support services throughout the district, making the school district one of Grove’s largest employers. With state-of-the-art facilities, to include a 1,200 seat performing arts center, Grove Public Schools offers a well-rounded educational program. Programs offered include special programs for Gifted and Talented, Special Education, Dual Credit Courses, Alternative Education, an award-winning Indian Education Program, and Vocational and Advanced Placement. Strong athletic, music, drama, and robotics programs also bolster school spirit of young and old alike. The Grove Educational Foundation for Excellence (GEFFE) is a group of private citizens that works with and for the Grove Public Schools system to recognize, encourage, and promote academic excellence. 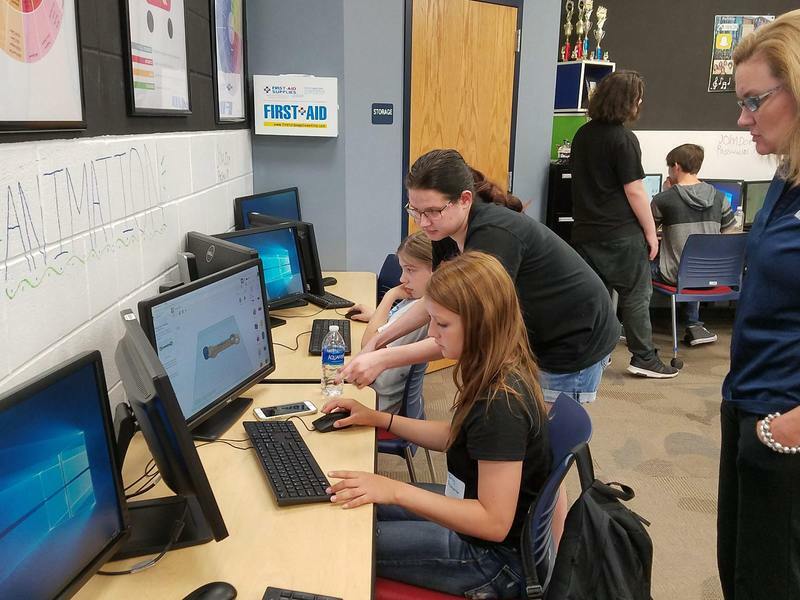 The GEFFE Foundation has awarded large sums of money to help teachers fund new and innovative programs at every grade level. The Grove Public Library is a tremendous educational and entertainment resource for both young and old alike in Grove & Grand Lake. In addition to its many traditional library resources, the Grove Public Library offers a number of regular and special events throughout the year to include classes, movies, and special programs. Higher education opportunities and advanced training is also available in and around Grove. The state-of-the-art Northeastern Oklahoma A&M College – Grove campus offers traditional, non-traditional,and concurrent student academic coursework so that students can receive affordable higher education. Associate degrees in general studies, business administration, and psychology/sociology can be completed entirely at the Grove campus. The NortheastTechnology Center (NTC) is a premier training facility for both high school students and adults. NTC’s Afton campus offers a wide selection of training programs, providing students with valuable career training and certifications. Additionally, NTC offers a number of programs and resources to local businesses and industries to help them be more successful in the marketplace.